With a Referendum on Britain’s membership of the EU now firmly on the cards it is time for an open, accessible and accurate book about the EU that is free from jargon. This is that book. It will be your companion in the great EU debate. 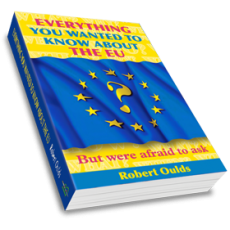 Everything you wanted to know about the EU will tell you what you need to know to navigate your way through the debate that has seized the nation’s airwaves. A debate that will only become louder and more complex as the referendum approaches.